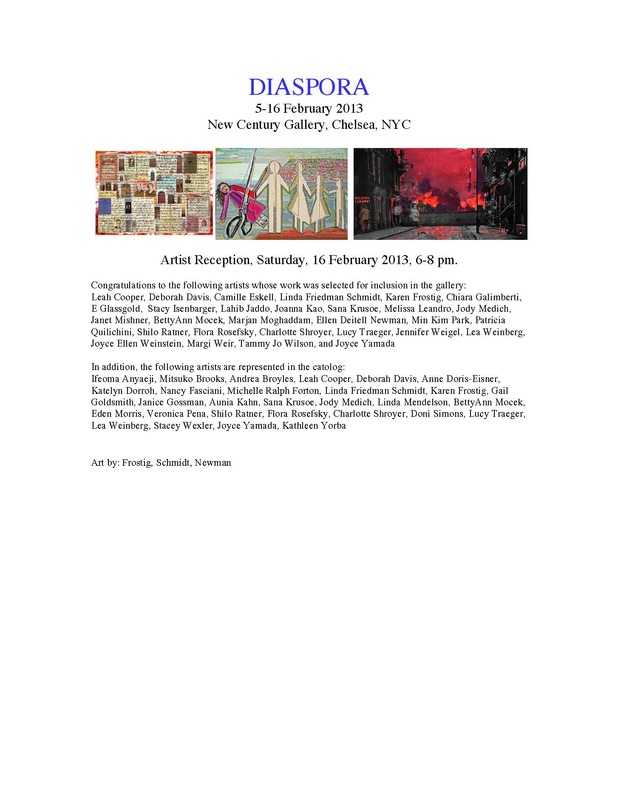 Artist Reception, Saturday, Feb.16,2013, 6-8 pm. The year is off to a great start. I’m shipping artwork off this week to the New Century Gallery in Chelsea for a show on Diaspora.